I don’t remember the last time I had time to jot down my thoughts on a piece of paper. The difficulties of being a full-time working mother played a huge role in my ‘hibernation’ from writing. 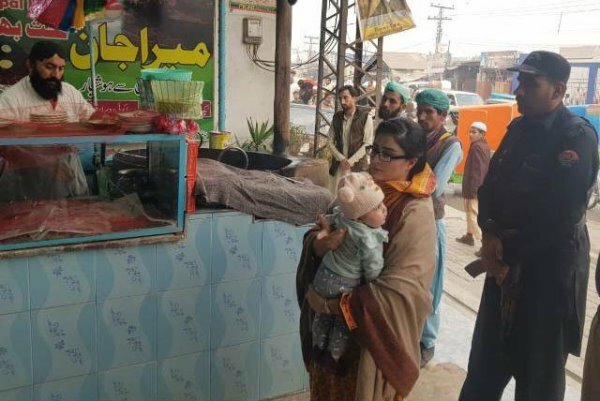 Recently, I was scrolling through my newsfeed to keep up with the world that exists beyond my hectic routine when a lovely photo caught my attention: it was of a lady bringing her toddler to work and the caption of the news article read: Khyber Pakhtunkhwa (K-P) woman official sets example by carrying infant while on duty. As a woman, a mother and a career-oriented person, I felt so much pride. 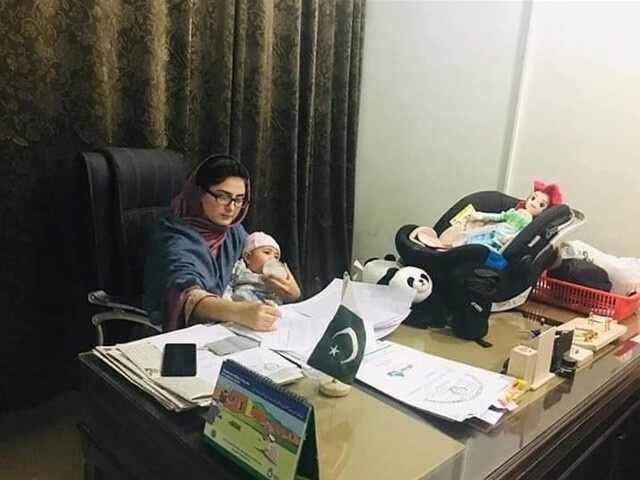 The photo perfectly described what a modern and strong Pakistani woman looks like: someone who is giving her best at work and yet is not neglecting her duties and responsibilities as a mother. However, this positivity was marred by the disappointing yet predictable comments made by our own countrymen. Instead of encouraging her and acknowledging that working women aren’t automatically ‘bad’ mothers, they continued to indulge in nitpicking. Some disapproved of the woman exposing her baby to pollution and an unhealthy environment while others claimed that bringing her child to work will interfere with the job she is paid to do. There were also those who seemed to be coming from a place of professional jealousy when they questioned why should she be allowed to take her baby to work when doctors aren’t allowed to do the same. Then came the disgusting comments accusing the woman of just trying to seek attention and jokingly called for other professionals to take their kids to battlefields and laboratories. This insensitive attitude of Pakistani men is neither new nor surprising. They have always blamed and insulted women who have broken the glass ceiling and tried to set new positive trends. 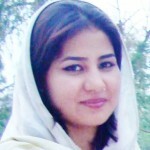 Many Pakistani women who are revered internationally are constantly humiliated and disrespected at home by the same people. Our dear men try to compete with the rest of the world when it come to science, technology, health and educational facilities. They look up to the western lifestyle yet completely ignore how working mothers are facilitated and accommodated abroad. Just a couple of months ago, the prime minister of New Zealand was seen taking her baby to the United Nations General Assembly. She was happy to be there for her baby as well as perform her duties as the PM. Moreover, women in rural areas have always helped men in farming and outdoor chores while carrying babies, hence this recent incident shouldn’t come as a shock to this country. Why the “haww, haye“? What perhaps was more alarming and hurtful was how many women also bashed the assistant commissioner and shared the same sentiments as the aforementioned men. It is unfortunate that many women instead of supporting and uplifting other women, constantly drag them down. It is apparent that these women only spewed out venom because they don’t have the same opportunities, courage and resilience to pursue their dreams as this brave official did. Our society is extremely selfish and hypocritical when it comes to dealing with women. A man would readily marry an educated, highly paid working woman. His family would expect and love the gifts she would buy for them from her own salary and take pride in having a “doctor bahu” or “afsar bahu”. After marriage, she would constantly be interrogated about when she will contribute to the ever-growing population of the world. However, they would not pay attention to the difficulties and burdens she would go through when she becomes a mother. Once the baby arrives, the same women who had interrogated her would start blaming the woman for sacrificing her family to earn money. They would criticise her for not staying at home and making do with what the husband brings home. These individuals fail to understand that women work exhausting hours to provide the best for their families which would otherwise be difficult. Instead of realising how hard it is for women to juggle work life and motherhood, our people continue to throw stones at the women who have proved themselves to be better and stronger. Consequently, women often give up their careers after having a baby. Or, most of the time, their mothers look after the kids while they work and follow their dreams. Neither the husband nor his family tries to share the responsibility. This incident should serve as a wake up call for men who burden women with all the responsibilities of raising a child. Our men should realise that they cannot just get off the hook by providing a surname and some monetary amount for their kid. 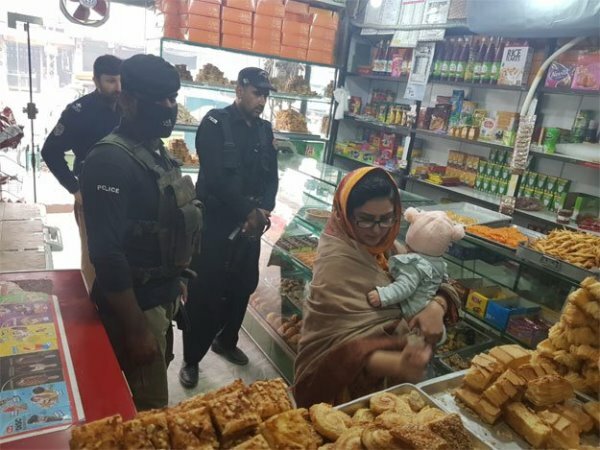 Instead of criticising the officer for bringing her baby to work, they should perhaps help out their partners with their babies. Raising children is after all a shared responsibility. 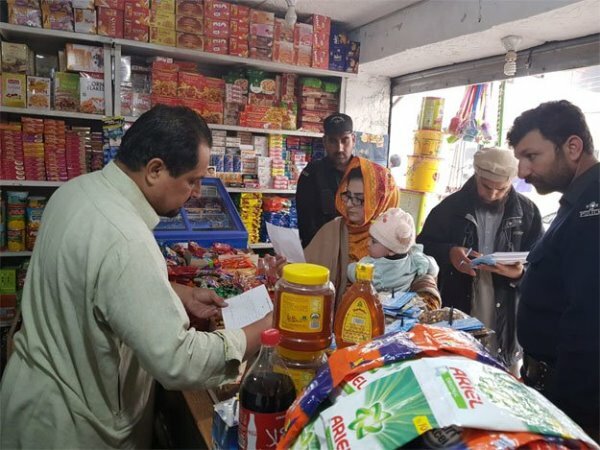 Furthermore, with Pakistan crawling its way up to becoming a welfare state and organisations welcoming talented women, it is the responsibility of employers to make work environment friendly for mothers. They should have a proper daycare system set up where mothers can safely leave their kids under supervision and work stress-free. It will be easier for them to then tend to their children’s needs during break-time. This way none of the responsibilities will be compromised. On a side note, as a mother who has held her babies many times while working, be it at office or in the kitchen, a baby carrier is a big help and for outdoors, a stroller is a must. These will let the mothers work freely. As I type this with my right hand while carrying my infant in my lap, I want give a huge shout-out to all the women who are trying hard to make both ends meet and fulfilling their responsibilities to the best of their abilities. Ever heard the concept of Old Age Home…. when toddler grown up in Child Care Centers, they left their parents in Old Age Home in their Old Age. One reason of immense human misery are the inadequate, hostile and detrimental environmental conditions for the babies. Disturbances in the primary “oral stage” of the baby lead inevitably to lifelong personality disorders. We 200 million Pakistanis are largely a society of 200 million very disturbed babies. That explains why the dark side of our individual and collective personality is so bright and illuminated! In the psychological treatment of adults, one very popular topic is the “Weeping Child” in grown ups! Not every working woman has the support network of cousins, aunts, sisters, mother, mother in law, nieces, grandmothers, female third cousins thrice removed, to take care of the baby, while the mother goes to work, pays taxes, contributes to the economy and be productive. Besides, who else can take better care and ‘FEED’ the baby than the mother herself!!?! Pardon my minimalist mindset . when i can pay $x to a man? He did not ask the cause . But he asked why should he hire a women with a baby when it will hinder/reduce the productivity of the workplace. Or should the productivity of the workplace be lessened because of the mother taking care of the child. and is exactly what your business needs then you revisit your priorities. Thank God she is working in a place where her dept. her boss has empathy. And understands the needs of employees. usual issues associated with people. She was hired and was working long before the baby came. Many women have babies during the course of their employment. Nothing new there. “I have to let you go, because you can no longer work effectively, because of the baby.” Or will he try to work something out, instead of loosing a good efficient employee? their employees….or their businesses are marked for failures. Guaranteed. she has a baby, or may have a baby down the course of her employment. Under Title 7 US law on discrimination, based on ethnic, racial, gender, religious or sexual orientation is prohibited.. To put it in layman’s simple language. fees, plus the monetary award won by the woman litigant. Most employers/managers are decent human beings. But their main responsibility is not your child welfare but the smooth working of the place of business. And babies disrupt the place of business. Doubt very much that employers in Pakland are that progressive. Not to mention that a maternity leave of absence, PAID or UNPAID could be anywhere from 3 months to 6 months. After that,…then what? The baby gets up and changes it’s own diapers, heats it’s own milk, eats it’s own baby food, maybe watch it’s own midday soaps/dramas on TV…? Back to the original subject…some women simply do not have the support network to care for the baby while they work. Ever seen photographs of women working the fields, harvesting crops or doing other manual labor while carrying the baby strapped to their backs!!!??!! This fact is from time immemorial and is even done now in the 21st century. You can see these photographs from the Eskimos, to Africa, China, the Sub Continent, to the far reaches of Eastern Asia. You say men are raising children, but even in 2018, what men call ‘caring’ is providing for their needs in the form of money, or coming home at night and spending a few hours with their children. Enter a mother who works and is also under the pressure of raising her child. Do take notice here that raising a child for a mother is spending all her time with her, feeding him, clothing him, educating him, making sure he is okay ALL THE TIME and whatnot. If a man does all this, believe me, he will also feel the need to take his baby with him to work. If you have your own business , then you can do what you want. Working in the fields with your baby attached to your back , is your family’s business. You own the field and you can bring your baby to ‘work’. If however you work in an office , that place is not your own. You have requirements to meet as do your colleagues. The baby will cry . The baby will need taking care of. The baby will get moody and throw tantrums. So the whole workplace should suffer because of you? The lady is getting paid to do her job , not to take care of the baby. Her first responsibility in that time(office hours) is to complete the job assigned to her. And don’t try to give me examples of western countries. I have many friends , relatives who work in fortune 500. They weren’t allowed to bring their kids to work with them. Because ,you know, they weren’t paid to bring their kids to office. Don’t change the subject. Stick to YOUR original, ‘why pay for the baby’. Let’s stay with the original premise of the blog. Bringing a baby to work. [Never mind that your clan and friends, all works for Fortune 500’s. Because they DON’T !! Do you know WHY they don’t? Actually many many companies have these day care centers for employees. For decades now. If a working mother chooses, she drops off the baby at the on site care center, goes to the third floor to her office or work station. There. Everyone happy. No worries. Hope YOU are able to understand and comprehend this. of them are there in their cubicles, side by side, that is a different story. No mother would bring her baby to work in that situation. Very likely she will quit. It is generally the case, everywhere. Not good for business or office.. It boils down to how much you care for your employees, and how much YOU are willing to accommodate them…male OR female,…specially female. Without well trained, good, loyal employees YOU are nothing. I dont change the topic , you do. First of all , they are fortune 500, because they make a lot of money, not because they accommodate children. Secondly the fortune 500 , don’t allow children in workspace , because you know , they decrease the productivity. Thirdly , not all 500 offer day care , if they do then please inform me or show me a link. Fourthly , it boils down to this. Not Genghis Khan , not Steve Jobs , not anyboby. If the employee is more trouble than its worth , then the employer will reluctantly have to let the employee go , no matter how good the employee is. It certainly is a better option for all parties involved if a middle ground is reached to accomodate the mothers.